Curious about what the Bible says about tattoos? Want to know if our pets go to Heaven? What about the larger life questions like what happens after death? These are all incredible questions that most people find themselves asking at least at some point in life. We may not know what Bible verse to turn to, but with knowledge of the right sources to turn to, we can gain access to Biblical and theological answers to our every day challenges. Once we’ve done some online research, we can return to the Bible for further study and decision-making. It’s important to turn to quality sources for your Biblical information. Especially in this over-saturated era of fake Internet news and rapid-fire social media posts, it’s difficult to know what sources to trust. This week, I offer some sites I’ve been using for years to get valid, trustworthy help making difficult decisions, or simply answering a question I’m itching for an answer to. I get questions all the time about where to go on the Internet to get Biblical answers to some of life’s everyday challenges. One special site that I have been visiting for over a decade is called gotquestions.org. This site contains over half-a-million faith-based articles and answers to your every day questions. It’s your own specifically theological Google right online. For your teenagers’ more pressing life questions, they can turn to 412teens.org if they aren’t comfortable asking family or friends for the information. Anything Biblical or faith-based that they are curious about can be asked into the simple search engine. For younger children and preteens, send them to GQKidz.org. All three of these sites function with a simple search engine that generates a short and fact-based answer to your life questions. I hope you’ll take the time to check these out. I know you’re curious about many things in life and want to make sure that the research you’re doing and the answers you’re receiving align with your faith. Save these sites to your bookmark tab, share with your children, family members, co-workers, and friends. Knowledge is limitless, just like our God. GQkidz.org – Your children can also engage their online curiosity with this site, very similar to its adult version, gotquestions.org. Kids and pre-teens are able to ask about God, Jesus, the Bible, or any other spiritually related question. There are also activities and a Q&A area where discussions on the most common topics are archived. 412Teens.org – For teenagers, there is a more advanced site than GQKidz.org that they can visit. The homepage reaches a teens’ unique world perspective, and seeks to help them find faith-based solutions to their insecurities and peer pressures. The menu offers questions that teens can click on, such as “How can I learn to be content with my life?” and “Why do I feel like such a loser?” These issues can be difficult to talk about, but are often questions that teens want to reach out and ask someone. This site offers a simple search button and insightful solutions. rzim.org – RZIM stands for Ravi Zacharias International Ministries. I have been following the teachings of Ravi for many years. If you have a philosophical question or a deep theological query, this is the site to visit. When we are seeking answers to life’s more troubling truths, such as the existence of evil and suffering in the world, rzim.org will offer you meaningful and critical background and information to study and work through. Start browsing the questions and answers on these sites and get deeper into the word of God. If you have a specific question you would like answered, use the search box. Let me know if you still have questions! I’d be happy to send you my thoughts. 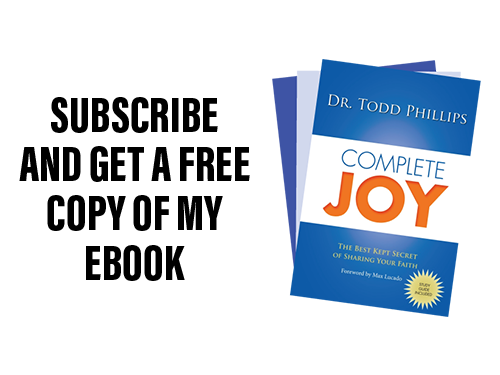 Hey, this is Todd Phillips, your online pastor and personal life coach. And I’m here to talk today about how to find all your answers from the Bible, online. Now, I get this question all the time. How do I go online and find biblical answers to my questions? Now, I always encourage you guys to take notes when you’re watching these. But let me encourage you with this; there’s a lot of information I’m going to give you over the next few minutes and I’m going to be in the information below the video. So, don’t worry about that, just watch this video and the links will be below. But I would encourage you; there are places you can go. You know in this Internet age and social media age when there’s so much information out there, it’s really, really difficult to find a place you can really rely on when it comes to Biblical truth. Now, you might think that would be exactly the opposite — there would be a lot of places out there. But really the bottom line is this: there are a lot of places you can go to get the wrong information, but it will say Bible auditor, or it will say theology on it, and you’ll make assumptions that the information they’re giving you is safe and right and correct and something that you can apply to your life. Now, that I couldn’t be further from the truth. I just want to encourage you, the things that I’m going to give you today are places you can go for reliable information about questions you have to get Biblical answers to those questions. So, the first one is gotquestions.org. I’m looking at the site right now, gotquestions.org. This site has been around I believe since 2005. If I remember correctly, it’s been around for a long time. In fact, I’ve used it and referred people to it for the last 10 years or so. Gotquestions.org has, now listen, I’m reading right here, 480,4563 articles. Let me say that again, 480,4563 articles. In other words, nearly half-a-million answers to half-a-million questions that people have sent in over the last decade or so. Now, I’m not telling you that I endorse everything on the site, but I’m telling you this — that is I’ve gone through this over the last 10 years and looked at many answers to many questions. Gotquestions.org has proven to be very reliable source to get Biblical answers to the questions of life. So, I hope you’ll take a moment to look at that. Maybe put it on your favorites on your Internet list, so you can go to that every time you have a questions or a co-worker does, or a family member does; maybe one of your kids if you’ve got children. In addition to that, they’ve done a couple of really cool things over the last 10 years. They have a kids’ site. It’s called GQKidz.org. It’s for preteens that have the same kind of Biblical questions and they’re answering it to children. And then also there’s 412teens.org and that’s for teenagers. So, if you go to gotquestions.org, they’ll be able to lead you and linked you to those sites for both your teenagers and your children if you have those in your family. Now gotquestions.org is going to answer everyday questions with everyday Biblical answers, but there’s also a place that I really want to encourage you to try to take a look at sometime down the road when you’ve got a little more time to read and really study the Word of God and theology in general and it’s called rzim.org. The gentleman I’ve been following for the past 20 years, Ravi Zacharias, he’s an apologist and focuses on what’s called apologetics. Now, I’m going to give you a definition here on the site of what apologetics is and I’ll tell you what it really is. This is what it says on the site, “It’s a theological science or religious discipline of defending approving the truth of religious doctrines though systematic argumentation and discourse.” All it really means is ‘defending the faith,’ so if you’ve got a philosophical or theological, deep theological question, or someone comes to you about evil and suffering in the world or some of these other major issues. This is a really incredible sight to go to, rzim.org. Not only can you go to get answers from Ravi Zacharias ministries, but he’s also vetted many other apologetics websites that have been vetted through his organization that give you reliable links to those sites. There’s a tremendous wealth of information regarding some of the more challenging questions of life. So if you go to gotquestions.org and their short articles, their short answers, are not enough for you, you can always go to rzim.org and go to their site or the links that they provide and find more in-depth study about deeper theological issues. I really hope you’ll take advantage of this. I really hope you’ll put these sites in your favorites on your chosen Internet portal, because here’s the deal: I get emails all the time. I get people on Facebook and Twitter and again emails, asking me questions very, very good questions, very thoughtful questions, about, you know, what are the answers to the biggest questions of life, and just everyday stuff. I’ll read you a couple. I get questions all the time about what does the Bible say about tattoos? What does the Bible say about dating? Was a Bible say about life after death? The importance of baptism? I’ve got people asking me do our pets go to heaven? These are all great questions, right? But gotquestions.org actually has some incredible insight there. So rather than sending the email into me, or your local pastor, this is an opportunity for you to go, and really do your own study. It doesn’t take the place of reading the Bible; it doesn’t take the place of Sunday school or Bible study, but it’s a really incredible supplement for you and your family, your friends, your co-workers, to get strong answers from the Bible to everyday life questions. I hope this has been helpful for you. I know it has for me. I’ve used these websites and so I hope it’ll be an encouragement to you, and the people around you. This entry was posted in Blog, Spiritual Development, Videos and tagged answers, Bible, Bible questions, Bible resources, Bible study, Christianity, devotional, FAQ, God, information, Jesus, knowledge, Monday Devotional, monday motivation, online resources, questions, resources, Truth. Bookmark the permalink.